The king fell, and in terror an army faltered before the foe that had slayed him. But beside his broken body, a daughter now made their queen took up his shield. Seasoned warriors gasped, tears froze in chill night… and a child stood defiant and alone against a fallen angel. 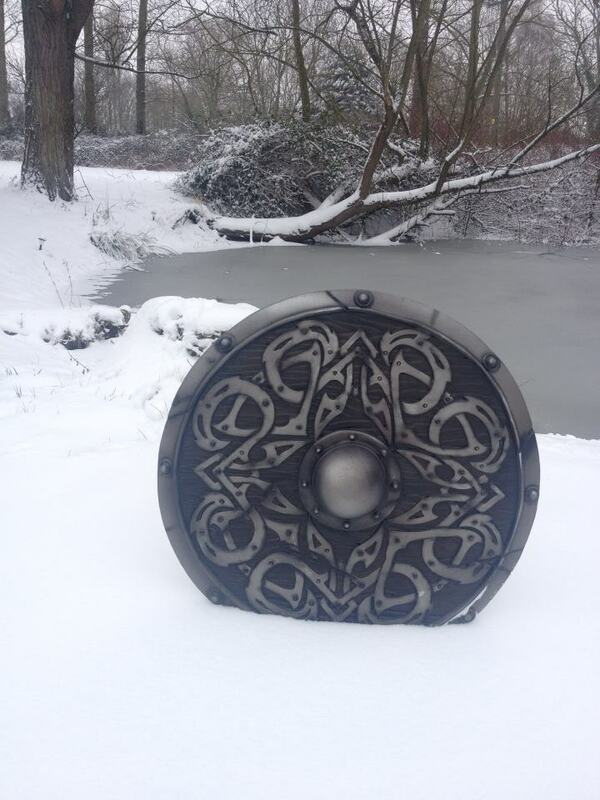 Skyrim inspired Shield, by Artyfakes Action Props Ltd. Click here for more of the artist’s work!